A la Piccola coffee machine and Lucaffe ESE coffee pods are the smart choices for your home. When you buy a coffee machine and coffee you should expect excellent results, sadly this is not always the case. A standard coffee machine requires a grinder, and a consistent level of skill to make good coffee each time, as well as the time to clean up after and maintain the machine. 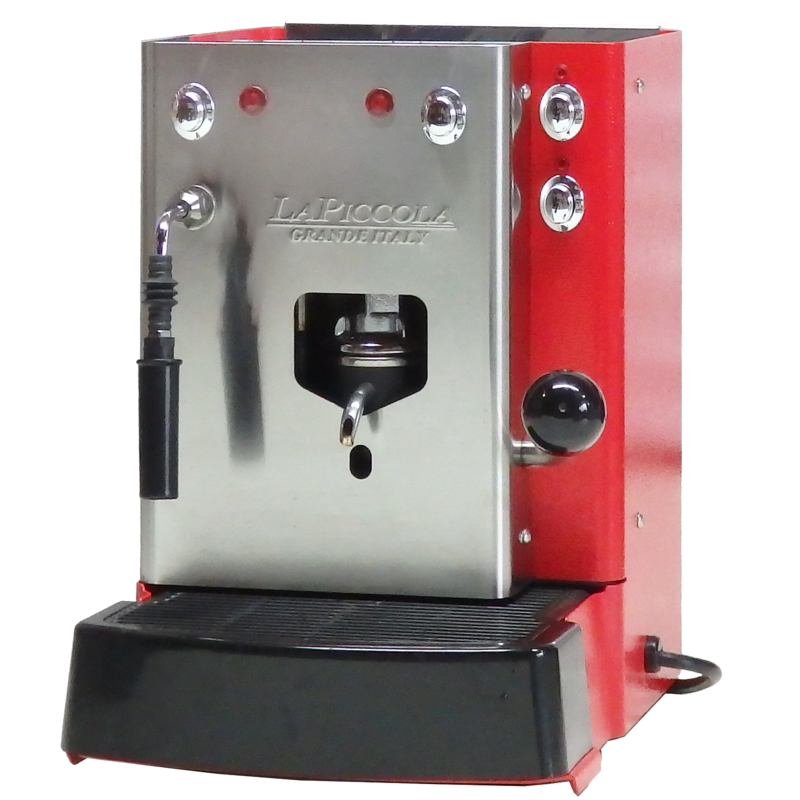 La Piccola coffee machines are very simple, fast to use, and extremely simple to maintain. They are commercial quality and have coffee extraction and steam production as two completely separate units in one machine. This means you can keep making espresso all day while simultaneously steaming milk. Our machines are designed and made entirely in Italy. The whole process, starting from raw materials, takes place in our Italian factory. Our most popular machine for homes is the “Sara”. Our compact commercial will steam milk at the same time extracting your coffee. Team our La Piccola machines with Lucaffe pods and you will make superb flat whites, cappuccinos, lattes and espresso. Not all pods are the same. Lucaffe ese coffee pods are a full 7grams of coffee (not 5 grams, as in some other brands) and are compressed ready to place in your machine. Each pod is packed in a modified atmosphere to keep it fresh as oxygen is the biggest enemy of coffee freshness and flavour. You want excellent coffee at home that is simple and clean to make. Lucaffe is a family company helping people make this happen in homes around the world. "Sara", our most popular machine for the home.